That was Kanye West on the scarily (pun intended) good track, Monster, off of his last album, My Beautiful Dark Twisted Fantasy. This track was killer. Personally, it took me a good 5 plays before I kinda-sorta got the hang of it. By the end of the week, this was (and is) my favorite track off that album. The complexity of the lyrics from Kanye, Jay-Z and Nicki Minaj on top of this mind-boggling, curiously wild, and steel-like mix of beats, synths and samples quite simply intrigued me so much that I couldn’t stop listening. We should have seen Yeezus coming. Kanye West takes this new concept of hip/hop music he scratched the surface of in Monster and experimented with on Watch the Throne to a completely different level with his sixth solo, and eighth overall, album (including WTH and Cruel Summer), manically entitled, Yeezus. Imagine that you’ve left Kanye in an abandoned warehouse in Pittsburgh; alone with only a single flashlight, a drum machine, a synthesizer keyboard, a handful of old vinyl records, a computer, a bottle of water and a microphone. The product would be Yeezus. Let’s all take a second and admit that we all think of Kanye as an egotistical, brash and arrogant artist. And, you know what – we’re probably right (I don’t know the guy personally, so let’s leave some room for hope. Plus there are plenty of artists out there just like him). But as much as Kanye’s character flaws may effect public opinion of his music, Yeezus takes things up a notch. Kanye wants us to talk about him with this album. But not because he wants us to idolize him, rather Kanye holds a mirror to himself and speaks into our speakers. He’s looking at things differently now. He’s in love (let’s not question his personal life choices right now), he was a “father-in-waiting” (when the album was being recorded), he’s at the top of the hip/hop mountain and through all of this, he notices that he’s flawed. But it’s not just him, it’s pretty much all of us. We all think of ourselves too highly (“I Am A God”); we all preach individualism but will spend “everything on Alexander Wang” (“New Slaves”); we’re all looking for perfect love, but are surprised to find it can also hold us down (“Bound 2”) – in a way, we’re all a little bit like Kanye. At least, that’s what Kanye is trying to tell us, through him (how nice of him). On a musical level, ‘Ye turns the heat up on hip/hop yet again. Most of Kanye’s album history can be described as a continuous trend towards extravagance. Larger sounds, fuller orchestras, deeper beats and the occasional auto-tune when ‘Ye wanted to pretend to sing. In Yeezus, Kanye essentially blows down his extravagant house of music and leaves only the framework. If minimalism wasn’t a movement in hip/hop music yet, it is now. Inspired by modern architecture, Yeezus strips everything that the public loved about My Beautiful Dark Twisted Fantasy (the orchestras, the instruments, the choirs, etc), and brings everyone back to reality. Yeezus hits like a blacksmith’s hammer on an anvil. It’s rigid, biting, and strong. Even with so much “frill” eliminated, Yeezus remains a complex album. Your brain can sometimes get confused with where the next beat drops, why that high pitched tone is put in there, or trying to decipher that auto-tuned sample. But “stripped down” doesn’t mean it’s easy to see what each song is made of – Kanye doesn’t help you see the theme of each song via a catchy chorus or hook. As he says, “sit back and let the word paint 1,000 pictures.” With synths, pounding bass and even a Nina Simone sample thrown in for good measure, this is not an album you can play as background music. This album demands attention and concentration. It may not be your favorite Kanye album, but it’s not meant to be. Yeezus is an experiment. It’s only 10 tracks and 40 minutes long. It’s like one of Pablo Picasso’s sketches – notable on its own, more interesting than the other, more elaborate projects, and the framework of exploration. If Yeezus will set the stage for hip/hop over the next year or so, I don’t know. But one thing is for sure, it’s making a lot of noise on its way up the charts. 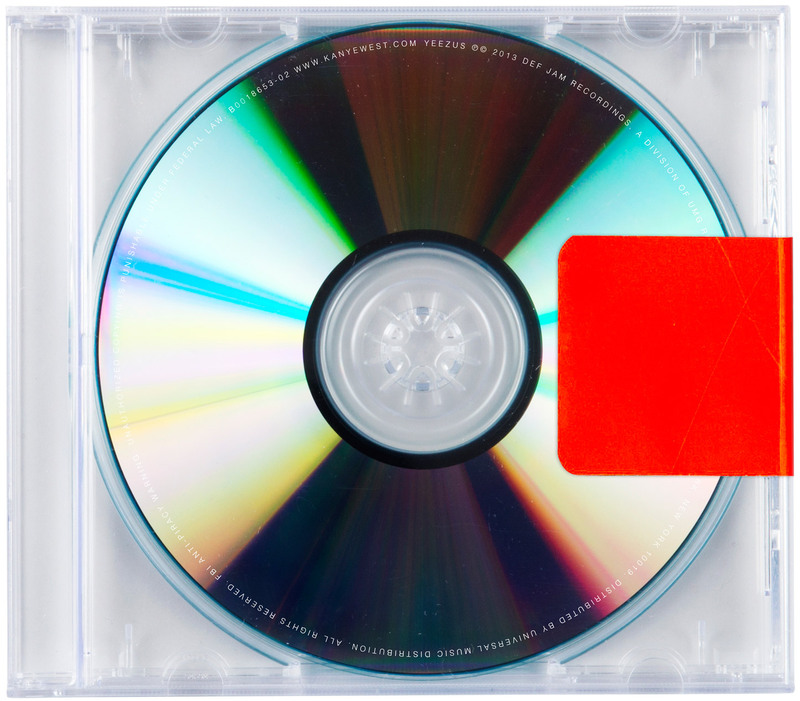 The complexity, bareness, and visceral nature of Yeezus is sure to draw plenty of critics. But dig deeper and you’ll see the brilliance in the album. It’s almost as if Kanye is inviting us to help him take hip/hop some place it’s never been and it’s up to you to decide if you’ll go or not. Kanye’s got something to say, and if you’ve got the courage to listen, you’ll learn how far hip/hop can go. Yeezus isn’t a nursery rhyme. It’s a hard-hitting, raw and exposed album that covers everything from the excessive greed of private prisons, the power of a corporate brand and our loyalty towards it, the pain of racism, and the power of the right love. You have to pay attention.